The beauty that marble flooring provides is a timeless décor that will complement styles ranging from shabby sleek to magnificently modern. It is a lasting stone that has proven to endure throughout the ages. Amazing works of art like Michelangelo’s David and Venus de Milo’s Musee du Louvre, showcases the beauty of art. The architecture of the Parthenon with its 48 marble columns reminds us of the origin of our government and perhaps even symbolizes the sturdiness and resilience of its rule. It’s no wonder that we covet this material wanting to own a piece of it for ourselves. Usually, applying marble as a type of flooring is the first implementation of achieving maximum upgrade to your space. What most people fail to realize is that marble needs to be maintained. Just because one spends a great deal of money on a long-standing product doesn’t mean that it does not need proper upkeep. Here’s the setback with marble: it’s porous. It may be difficult to understand how such a lasting and durable mineral—a rock could be porous. Shouldn’t that mean that it’s fragile? Not necessarily. Stone, in general varies in strength. The misconception is that because marble has such a glossy finish, it’s water resistant. Marble is a very strong material. The pores are just microscopically small to the human eye. Yet, it is still susceptible to being stained and etched. If one were to compare Michelangelo’s David and the Parthenon, it is obvious that one work of art has been well maintained over the years. A great deal has much to do with the artwork’s environment but even so, the differences between the two clearly display how David has been properly treated with a sealant where the Parthenon’s marble columns have not. Although both marbles have proven their lasting sustainability, it is imperative that, if you want marble to keep its polished surface, it must be sealed. The entire purpose of sealing marble is too fill in those tiny holes to prevent any dirt or dust particles from lodging within. If this step is neglected, then that marble will slowly drink in that dirt and adopt its color, as well as any spills from food or beverages. The end result is ending up with a different color pattern of marble than intended. If you’ve mopped a floor before, then sealing a marble floor isn’t too different. Sure, you can always hire the installers to do it for you. Trust that you’ll be paying more for this service too. 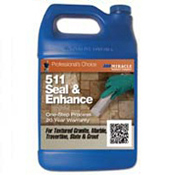 It is much cheaper to just purchase a marble sealing solution from your home improvement store and save some money. After all, it is safe to assume that enough money has already been spent on the marble flooring itself! As mentioned before, sealing marble floors is like mopping, but in this case, it will be necessary to ‘mop’ your marble floors 3-4 times. It is recommended to purchase a mop that is specifically used for sealing. A sponge mop is preferred. This way, a minimal amount of sealant is not wasted in the mop. It can easily be pushed into the marble floors. Simply spread the sealant over the floors with a sponge mop and wait for approximately 30 minutes. This gives the solution time to seep into the pores and settle. After 30 minutes have passed, test the floors by pouring a little bit of water onto the marble. If water soaks in to the tile then another sealant coat needs to be applied. Repeat these steps until the water beads on the marble. This conveys that if water is unable to penetrate the tile, it will be highly unlikely that any food spills and dirt will too. This type of sealing process is a task that should be applied every 1-2 years depending on how much traffic your floors endure. Even with a proper sealant, marble floors can still get dirty overtime, especially for an application that last 12 months. Toward the end of those 12 months, you might see some slight discoloration because the sealant is reaching its expiration date. Evidence of heavy traffic is typically seen in the grout as well. Most of us are all too familiar with how stubborn grout can be to clean. Marble is a sensitive material. Owners should steer clear of any acidic and abrasive cleaning solution that contains bleach. So, the options for cleaning marble flooring and grout are limited. That is why the process of stripping marble floors has become the solution. This process is most advantageous for showers with marble floors as this area is used most often. 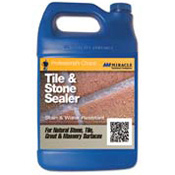 Like the sealant, a stripping solution can be purchased at your home improvement store. It is a powdery substance that requires a mixture of water to activate. The required tools remain the same and the process requires a little more muscle work as you will be scrubbing the dirt out of the tile and grout. Take note that when stripping marble floors, you will also be extracting all of the sealant. So once stripping process has been completed, you will have to re-apply the sealing solution to lock in that shine! It would be a shame to let beautiful marble tile lose its luster. However, one could take the gamble to neglect the required maintenance and hope that it will be admired like the marble columns of the Parthenon, but that may take a few centuries for someone to appreciate. There’s no need to wait that long. Let us help you select the right kind of sealant for your marble floors. Call Nalboor Tiles at 305-501-4548. Our staff is available to help you select the right marble tile, Monday – Friday from 9am – 5pm or contact us online.